I'm 99% sure the tires will fit perfectly, (purchased a new set of Michelin Defenders I'm itching to install). My question though is this: What additional purchases do I need in order to complete this conversion? I see sets of these rims on ebay and other sources, but none seem to include the center caps, valve stems, or lug nuts. Does anyone know if this is normal and something an installer would toss on there, (maybe minus the center cap)? Any input is greatly appreciated! Thank you! So in this case, since there wouldn't be a huge offset from the spacers, (i think? ), they're just acting as "adapters". Would even a minimal offset from spacers adversely affect the braking and suspension? And is this just begging for new wheel hubs? I'm sorry - I'm totally green on this. Getting into this, I knew whatever tires I purchased would have to be adaptable to later generation rim and really like the factory look of those styles. I guess I wasn't planning on having to address any conversion issues and hoped to avoid spacers. So it's either have the old rims machined and "live with the look" or cross over to the dark side not really knowing what the heck I'm doing. EDIT: I'm taking this with a grain of salt, but I noticed something on some eBay listings. My current 16" set is listed from 1998 - 2007 here. The later OEM rim here is listed as 2002 - 2011. I'm thinking that's just because of when the option/style was available. But that cross-year reference makes me think they'd be interchangeable. But dang... just to the naked eye, that center whole looks a whole lot different. Last edited by BootyDo; 01-21-2019 at 11:18 AM. 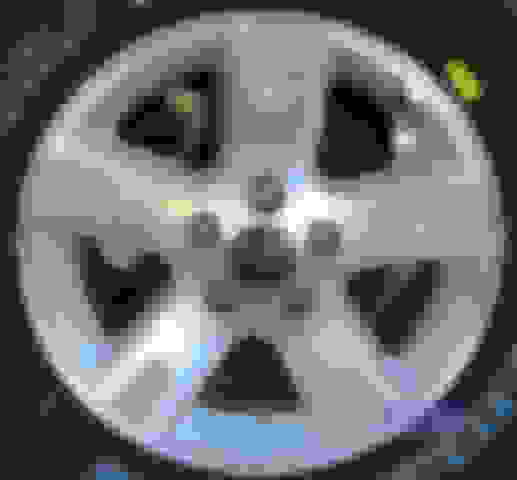 Your wheels were used from 1998(9?)-2005. The wheels you are looking to purchase were used from 2001 until 2006. The problem is that your truck runs pulse vacuum hubs. They are larger in diameter than the live axle hubs used from mid 2000-2011, so the set you're wanting to use will not fit. I ran them on my 4x2 truck for a little while and even on that they were a very snug fit. Your only options are to run a small spacer(easiest), machine out the hub bore on the new wheels(no DIY and $$$), or convert the truck to a live axle setup and ditch the PVH setup (hardest). Thanks for the input - very much appreciated! And I think you're right about avoiding the latter two options. For me, I'm thinking it's spacers or find different wheels. But I really had my heart set on those guys. If I went with small spacers, what sort of money and, more importantly, adverse side effects would there be? I've seen a lot of YouTube videos and different comments, but I'm not looking to toss radically different wheels on the truck like I think those things might be referring to. Btw, random question, but is there a way to find the Bolt Circle & Offset on my existing wheels? Your current wheels have a 5x4.5 (5x114.3) bolt circle, and a 12mm offset. As for spacers, you may be able to get away with a relatively minor width spacer that just pushes the wheel out enough to clear the PVH hub. They have all kinds of different spacers, but the best way to choose the correct size spacer is to actually have the wheels you intend to install. From there you can figure out just how much spacer you may need. There are hub centric spacers, and lug centric spacers. The best type would be a hub centric spacer, because the center of the wheel will sit on a lip built into the spacer, which keeps it secure and mimics some of the factory wheels, such as the wheels you're intending to purchase. You ideally want to stay away from a wide width spacer such as anything over 1.5" in width because they can add stress to your bearings and suspension components. You may need to replace these parts more often with a wide width spacer. Also, it's important to routinely check the lugs on your spacers so that they do not come loose. Ideally every few months would suffice. Also, when shopping for spacers, make sure they have 1/2-20 wheel studs. 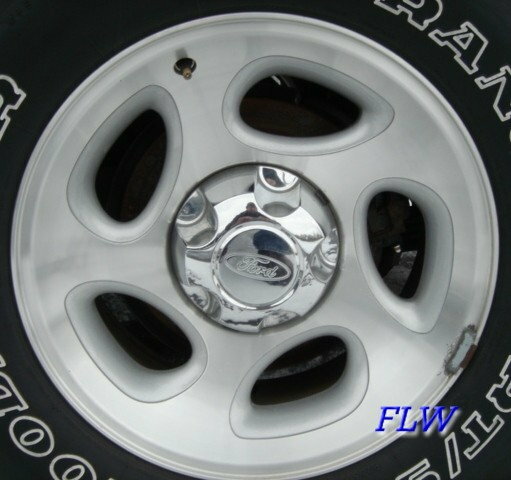 The Ranger's 5x4.5 lug pattern was used on many different makes and models, and there are spacers for all of them, however not all makes and models use 1/2-20 wheel studs. Whoa - thank you so much! That's a freaking wealth of information. I'm still on the fence if I want to go all in or just re-machine the stock wheels, but I'm definitely less phased about the minimal spacers. Having said that, I guess that's assuming they're minimal. Buying blindly in hopes of getting small spacers does worry me considering the price of the wheels, but on paper, it looks like they share the same bolt circle so how much spacer would it even be, right? If the PVH hubs taper down towards the end, you won't need much of a spacer. But if they are the same circumference the whole length of the hub, then you may need a spacer large enough to put the wheel outside of the PVH hub. That's when you start getting into the 1.5" or wider widths. You will have to compare the circumference of the center bore to that of a PVH hub to find out whether there's a taper in either the wheel or the hub. One thing that may be a deciding factor is the way in which the 16x7 five spoke "Fx4" wheel is machined. If you look at the backside of the wheels, you'll notice that in between each lug stud hole is a void cut out of the wheel hub. These voids may limit how much you can machine the center bore before you start to hinder the structural integrity of the wheels. Just following up - not knowing what I'm getting into - but I went ahead and just got a set of the newer style 5 spoke rims. Even committed and bought some new center caps. Now what the h### am I doing? Thinking about the compromises machining might do, I'm on board with the wheel spacers. And this is something I'd love to do myself, (technically I can't even drive the car on the road legally right now). Are there any ways to get accurate measurements for this type of conversion? I looked into a couple shops around me, but most of them that mention anything with spacers seem like the type that want to put 21" rims on everything. Clearly I'm in need of a local mom and pop shop near me. Question... If "BOOTYDO" were to convert to manual Hubs, would that reduce the over all size of the hubs and in turn allow the wheel to fit ? What would be involved to convert to manual hubs if BOTTYDO decided to go that route ? I do know the '99 and older Front ends can be converted but I do not know what it takes ! 1990 4x2 14 in to 15 in rims, tire size?